There are many varieties and types of tomatoes currently existing in the world, making it not surprising how they vary in size. Introducing the mini tomatoes! 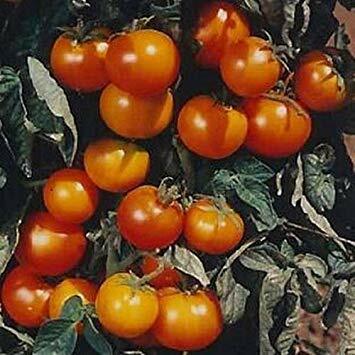 There are certain varieties of tomatoes that have small and short plants and most of them also have tiny fruits. These kinds of tomatoes are not what you would generally expect to see in the supermarket. However, they are actually getting more and more popular with gardeners and homeowners. So in this post, we will tackle what you need to know about mini tomatoes! So read on. 1 What is a Mini Tomato? Mini tomatoes do not actually refer to a specific type or variety of tomatoes. 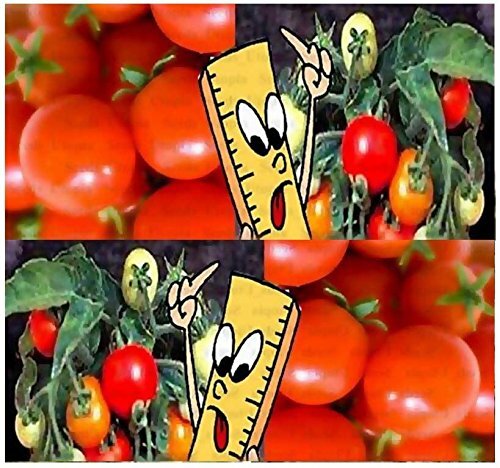 The term is simply a collective term for all the types and varieties of tomatoes are small. These tomatoes can be further classified into dwarf and micro tomatoes, with dwarves being slightly larger. It is to be noted, however, that this describes the plant and not the fruit. Well, most of the mini tomato plants also have tiny fruits. However, some of them actually bear rather large ones. An example is a determinate plant of a beefsteak variety. But for the sake of avoiding confusion, mini tomato plants with mini fruits shall be the focus of this article. Majority of tomato plants with these characteristics are part of a collective variety called ‘cherry tomatoes’. Naturally, there are advantages to planting mini tomatoes instead of the regular-sized ones. Here are summaries of a few of them. Mini tomato plants are small. Hence, you can plant them in places that would be normally impossible for regular-sized tomato plants to grow in. First, you can certainly plant them in the ground outside. If you want to plant them in the backyard, then, by all means, do so. Even if mini tomato seeds are not typically bought to be planted in the ground, they are not really any different from other types in this regard either. They can survive well. Next, you can plant them in pots and planters indoors. One thing that larger tomato types cannot do is to be used as a decoration in hanging baskets. Since they are compact, you can put them as decorations and they will still be pleasing to the eye and they will not take much space. It does not really require much effort to grow mini tomatoes. First of all, they do not require too much support in terms of caging and staking since their vines are not too long. If you put them in hanging baskets, you will not even need to worry about them touching the ground and rotting. They do not grow too wildly so pruning sessions do not require much time either. It even is common to require no pruning at all whatsoever. Additionally, they can be controlled easily. Since you can plant mini tomatoes in containers, you can move them in various places. For example, if a plant is not too resistant against heat and it is too sunny and hot outside, you can move the mini tomatoes inside for the time being. You can also use fertilizers on mini tomatoes without a problem. Mini tomatoes are already easy to grow. With the help of fertilizers, it is even more so. If you want to know what fertilizers are best to use for your tomatoes, you can check here: Best Fertilizer for tomatoes. Because of how easy it is to control the environmental factors around the mini tomato plants, it is also possible to grow them at any time of the year. Even in winter, you can grow them inside the house. You can do this most likely in a basement with a controlled environment. Mini tomatoes can also be either determinate or indeterminate. This means that if you plant a mix of mini tomatoes of both types, you can have different tomato plants with varying harvest periods which makes your yield spread out. If you are interested in planting mini tomato seeds, naturally you would want to have the best of them. Here is a list of some seeds of the best mini tomatoes in the market. The Micro Tom tomato is the representative of mini tomatoes. Why? They are currently the shortest known tomato plant variety in the world. Therefore, it is only natural that they should be at the forefront of our list. Micro Tom tomatoes are actually commonly not used practically. Instead, they are the first option when it comes to decorative mini tomatoes. You can commonly find Micro Tom tomatoes in hanging baskets, being used in interior design. In other words, most people buy these mini tomato seeds mostly for the plants. The fruits are just a bonus. The reason why Micro Tom tomatoes are not used practically is due to their low yield. They take unusually long to grow and bear fruit. Moreover, since their fruits are tiny, you will not harvest much from them either. However, this does not mean that their fruits taste bad. In fact, they are remarkably tasty and sweet. Red Robin tomatoes are not much different than Micro Tom tomatoes. They bear red fruits and they are also mostly used as interior decoration. But even so, the fruits of red robin tomatoes are quite delicious. They can be used in salads, and are great as a standalone as well. The plants of red robin tomatoes are very sturdy and resilient. You can place them outside in various weather conditions and they will still survive. It is certainly a good tomato plant to grow for beginner gardeners. These plants are hybrid plants. Contrary to heirloom tomatoes, they have undergone cross-breeding activities to make their yield more consistent. Micro Tom tomatoes and Red Robin tomatoes are certainly nice. However, sometimes, red tomato fruits can be quite boring after a while. The Golden Cherry tomatoes are your solution for that. 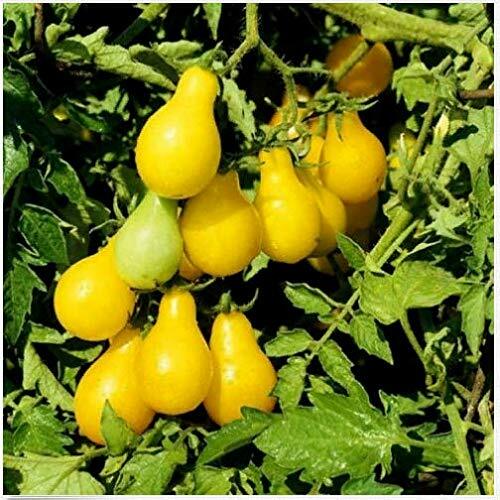 There are yellow tomato varieties with large plants. However, golden cherry tomatoes, in particular, are small in nature. But the most notable thing about the golden cherry tomato is not their color but their taste. Red tomato varieties have a more predictable taste. They are mostly acidic and can be mildly sweet sometimes. Yellow and golden varieties, on the other hand, are a lot sweeter. 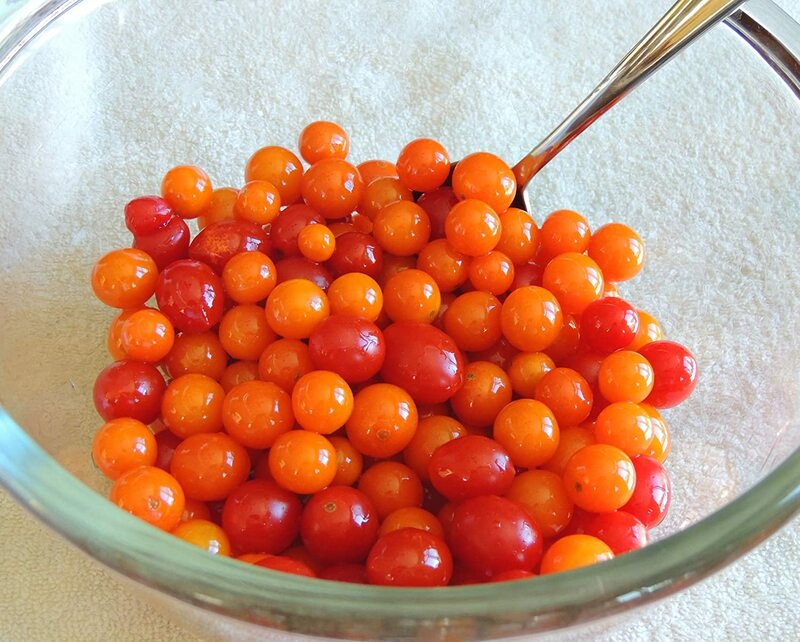 Golden cherry tomatoes are best known for their amazing sugary flavor. Not only do golden cherry tomatoes taste good, but they are also easy to grow as well. They are very resilient and they are resistant to cracking too. The plants of golden cherry tomatoes may take around 70 days to fully mature. If Micro Tom tomatoes have the shortest and smallest plants, Red Currant tomatoes have the smallest fruits. Next, Red Currant tomatoes bear read tomato fruits. However, instead of the tangy sour taste of a typical red tomato variety, the Red Currant has a sweet and flavorful taste instead. It is a great sweet alternative to some components in a salad. Unlike other types of mini tomatoes, the Red Currant can give a bountiful harvest. Their fruits grow in numerous clusters that fill their leaves and vines. This variety of mini tomato is quite durable. It is resistant to many known diseases and it can resist low temperatures. One last thing to note, however, is that Red Currant tomatoes can grow a bit longer than your typical mini tomato plant. Pots may not be a proper place to plant them. However, they can still be put in a hanging basket as decorations. This variety of tomato seed is your typical mini or micro tomato plant. Its plant is very short and its fruits are tiny as well. Just like Micro Tom tomatoes, the Tiny Tim tomatoes are great plants to grow indoors. They can be planted in planters, boxes, pots, hanging baskets, and more. There really are not many technical differences between this variety and the Micro Tom variety. But as you may remember, the latter has the shortest tomato plant. Therefore, the Tiny Tim tomato plant can grow slightly taller than its counterpart. 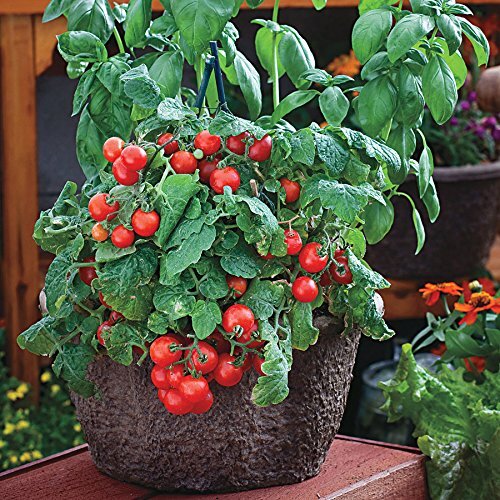 Specifically speaking, Tiny Tim tomato plants can grow to 12 inches tall while the Micro Tom tomato plants can grow up to around 9 inches only. Mini tomatoes generally have dense foliage. They are very compact and the leaves and vines simply stick together. Tiny Tim tomato leaves and vines are slightly more spread out than Micro Tom tomatoes. This may also be the reason why it can grow a bit taller. Orange Pixie tomato plants are barely included as a part of mini tomato varieties. They are a dwarf tomato variety and not as small as micro tomatoes. Their fruit size can vary a lot as well. The Orange Pixie tomato plant is a determinate plant that can grow up to 2.5 feet. As its name implies, it bears sweet orange-colored fruits. They can bear clusters of tiny fruits. Sometimes, however, their fruits can be a lot larger. Despite it being slightly more unpredictable than micro tomatoes, you can still effectively plant it indoors on a container. One other advantage that this tomato has is that it is an heirloom tomato. This means that it is as natural as possible without undergoing any genetic mutations. You have finally learned all of what you need to know about mini tomato plants, seeds, and fruits. You have also learned about the best mini tomato varieties available in the market. Hopefully, you will be able to grow your own mini tomato garden, or at least grow your own decorative mini tomato plants. 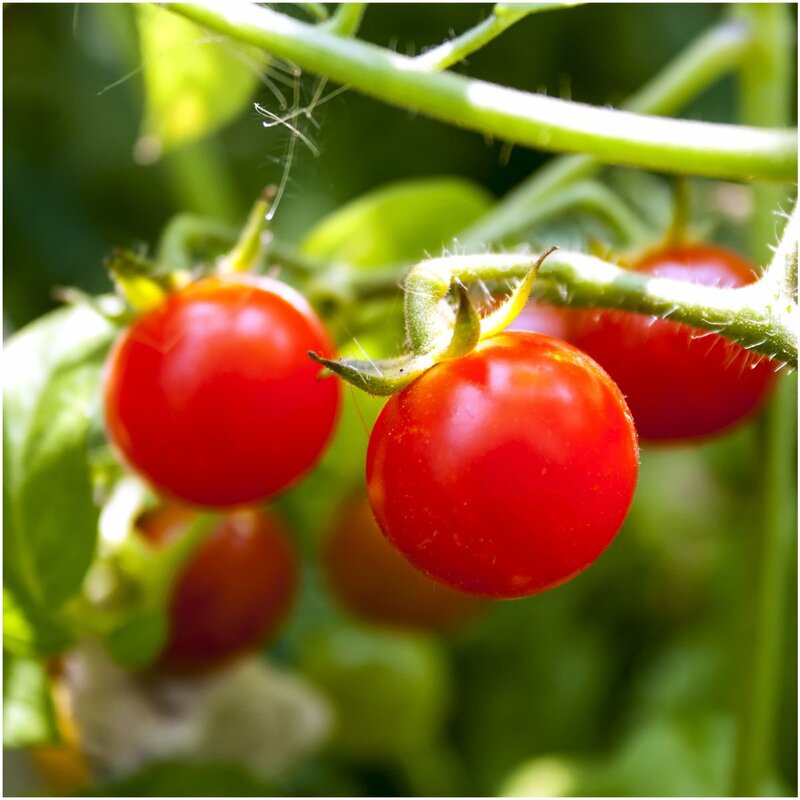 Regardless of your purpose, if you grow your tomatoes properly, they will serve you well with sweet and tasty fruits.